Corrupt Nigerian Politicians panic after the news that the British government is ready with the law that could make them lose their investment in the United Kingdom. Officials of the Federal Ministry of Finance and the Federal Inland Revenue Service, FIRS, involved in Voluntary Assets and Income Declaration Scheme, VAIDS, said they have been inundated with calls from Nigerians in the United Kingdom seeking to inquire about how the new UK government Unexplained Wealth Orders, UWOs would affect their property in that country. A source close to the finance ministry told close to Politicians in Nigerian who own property in the U.K. said that the pressure from Nigeria property owners in United Kingdom was so overwhelming on Friday that at a point the dedicated hotlines for inquires crashed due to excessive pressure. 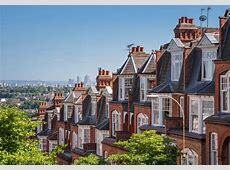 The UK government’s UWO which came into effect last week requires foreign owners of properties in the country to furnish the relevant tax authorities with details of the source of funding for such properties or risk forfeiture. Under the new law, property owners could forfeit any property or a combination of properties valued at about £50,000 (about N25 million) or above, for which there are no adequate explanation on the legal source of funding for the acquisition of such properties. Property owners appear to be battling with a two-pronged pressure to keep their assets from tax authorities in Nigeria and abroad.